seamless performance of applications even at peak loads. Cigniti’s Performance Engineering & Testing teams have extensive experience in providing cutting edge services to global clients. Cigniti’s Performance Testing expertise spans a wide range of applications including client-server, web, distributed, mobile, cloud databases, high volume transaction systems, and highly complex applications. Cigniti’s Performance Center of Excellence (PCoE) provides end-to-end performance testing solutions to help our clients launch future proof applications with high responsiveness, availability, and scalability. Cigniti has built a dedicated Performance Testing CoE that focuses on providing solutions around performance testing & engineering for our global clients. Our thought process focuses on performing in-depth analysis at the component level, dynamic profiling, & capacity evaluation in addition to testing and reporting helping isolate bottlenecks and provide appropriate recommendations. Cigniti’s Agile performance testing methodology helps design tests considering business criticality, geographic distribution, arrival rate, completion rate etc. This helps achieve realistic loads for your system requirements along with providing comprehensive reports that help clients understand the application quality, and helps them undertake improvement actions. Cigniti’s engineers have also built reusable accelerators and solutions that aid testing of various POS systems, SIP, VoIP, and Mobile applications. 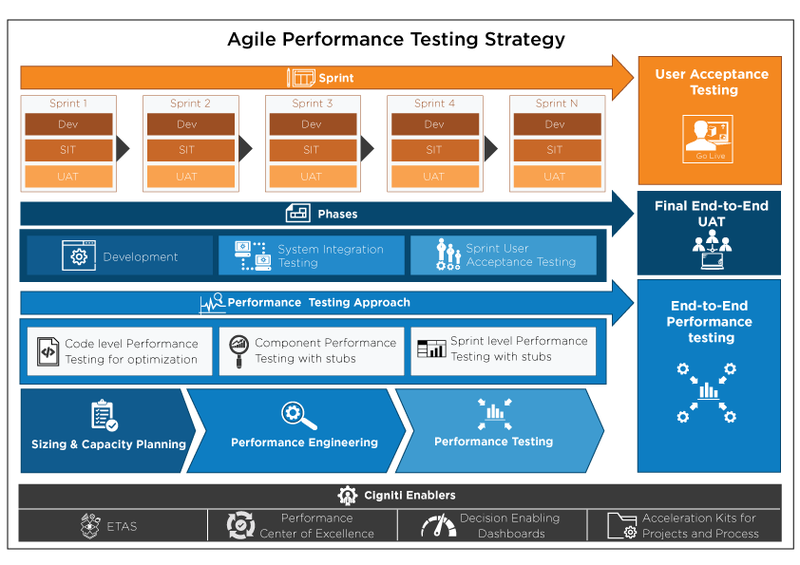 Cigniti has built a robust performance engineering framework to help our clients address performance requirements across Load Testing, Stress Testing, Volume Testing, Soak Testing, Scalability Testing, and Capacity Planning. 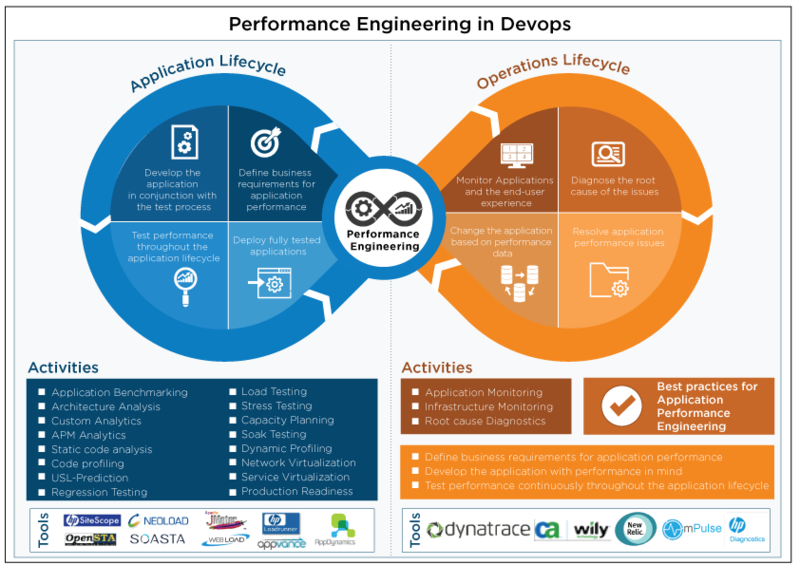 Cigniti’s “business efficient performance engineering framework” plays a key role in performing end-to-end testing & engineering, while our “analytics-driven workload modeller” helps avoid all workload modeling hassles. Cigniti maintains a dedicated pool of resources with expertise on a wide range of tools, technology stacks, and processes. Access to Cigniti’s Testing as a Service (TaaS) and cloud-enabled performance test lab on a pay-as-you-go model that reduces overall costs. 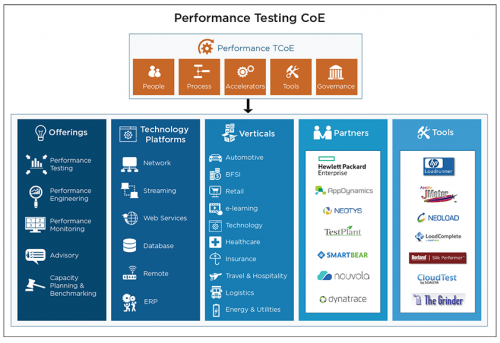 On-demand performance testing & engineering services with access to performance analysts and architects. Proprietary IP-led processes and techniques to jumpstart performance engagements. Statistical analysis with actionable inferences and recommendations aligned with performance objectives. Cigniti’s “Performance Analyzer” is a home grown performance test accelerator that can be utilized for in-depth analysis. The test accelerator integrates with industry leading tools such as WebLoad, JMeter, OpenSTA, Grinder, Silk Performance, & HP Load Runner. 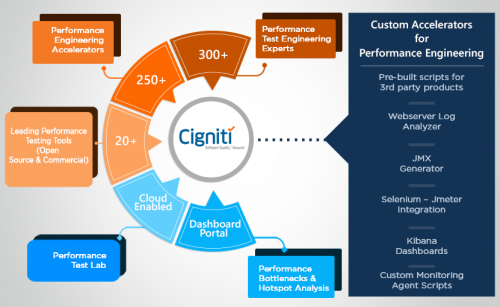 Cigniti is a thought leader in the performance testing domain and publishes regular Blogs and White papers. We also conduct regular Webinars on performance testing. Our Webinar on ‘Performance Testing in Cloud’ discusses how you can quickly and elastically scale up your tests to meet the demands of your business applications. ‘What’ and ‘Why’ of moving from Performance Testing to Performance Engineering. Cigniti has partnered with various Performance Testing tool vendors which helps our clients choose the right tool based on their requirement and budget. Below is a partial list of clients who trust us.